inspiring preservation projects happening all across Montana. The Great Falls Portage National Historic Landmark is just one important aspect of a future Upper Missouri River National Heritage Area. The Upper Missouri River Heritage Area Planning Corporation is getting closer to their goal of establishing the first National Heritage Area (NHA) in Montana and the first in the Northwest U.S. After two years of planning and public meetings, the group is ready to hire a consultant to create a feasibility study of the region. A major first step required before Congressional designation can be requested is the preparation of a feasibility study to conclusively demonstrate the nationally distinctive landscape and stories of the area, as well as local partnerships. NHA's are designated by Congress as places where natural, cultural, and historic resources combine to form a cohesive, nationally important landscape. These areas tell nationally important stories that celebrate our nation's diverse heritage. NHAs are a grassroots, community-driven approach to heritage conservation and economic development. Consequently, NHA entities collaborate with communities to determine how to make heritage relevant to local interests and needs. The Board of Directors is proposing an NHA boundary that may be subject to change based on public input and the results of the feasibility study. 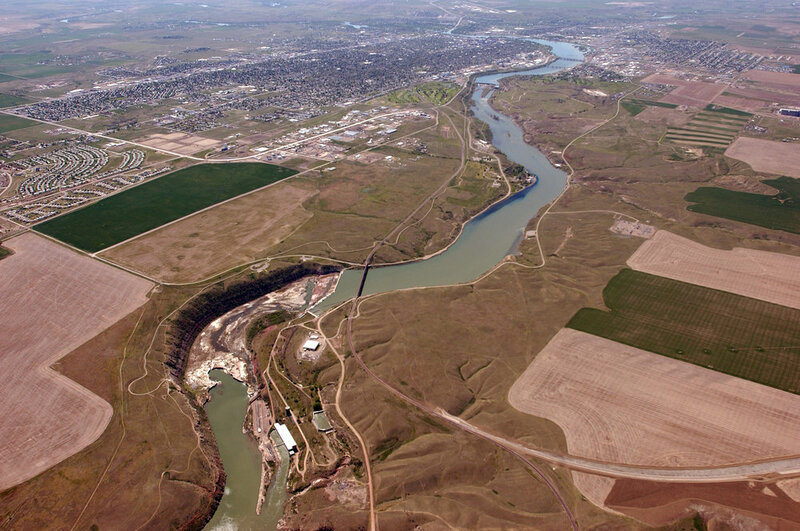 The proposed NHA boundary includes the Missouri River corridor from the Gates of the Mountains to Fort Benton, and tributaries of the Sun and Smith Rivers and Belt Creek. The communities of Cascade, Ulm, Great Falls, Fort Benton, Ulm, Monarch, Neihart, Vaughn, Sun River, and Fort Shaw are within the proposed boundary. The Board of Directors meets on a monthly basis the fourth Monday of the month at 4:00 p.m. in the Gibson Room at the Mansfield Convention Center in Great Falls. The public is welcomed. After five years and two wildfires threatening the restoration effort on the Big Hole Lookout, it will soon be complete and a regular recreation rental in the National Forest system. The public has the Lolo National Forest, Thompson Falls Ranger District to thank for this herculean effort! The 105 year-old Paradise Elementary School closed its doors in 2013 after educating many generations of students in this once thriving railroad community in Northwest Montana. The Paradise Elementary School Preservation Committee is a group of community residents who value this historic structure and the important role it has played—and will continue to play—in the economic and cultural life of Sanders County. The committee's mission is to repurpose the Paradise School as a vibrant community, arts, and visitors center (the Paradise Center) for area residents, county students, and the many tourists who now drive by on their way to other western Montana destinations. This Paradise Center will become an important economic, social, and cultural mainstay for our region.